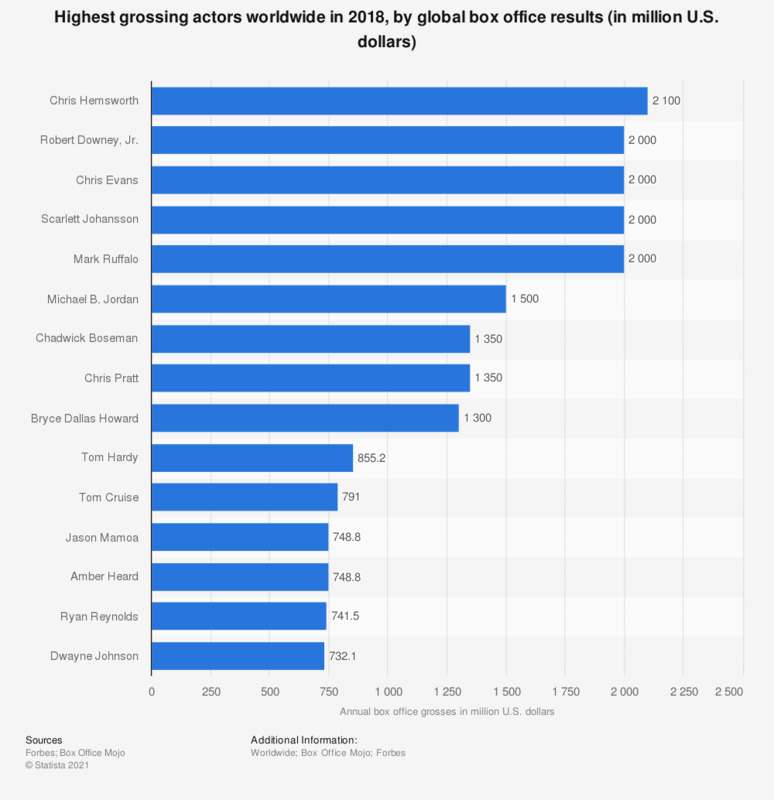 This statistic shows the highest-grossing actors in the United States in 2018, ranked by their global box office results. Owing mostly to his role as Thor in "Avengers: Infinity War", Chris Hemsworth topped the ranking with two billion U.S. dollars of revenue generated through his movies at the box office. Following closely was Marvel Cinematic Universe co-stars, Robert Downey, Jr., Chris Evans, Scarlett Johansson, and Mark Ruffalo, with a gross of two billion U.S. dollars. The source provides the following information about the methodology: "To calculate the ranking of top-grossing actors, we added up the global ticket sales of films released in 2018, using data from Box Office Mojo as of December 30, 2018. We did not count animated movies and only included actors who were top-billed and/or had the most screen time."